Hill Fire near LA. CalFire photo. 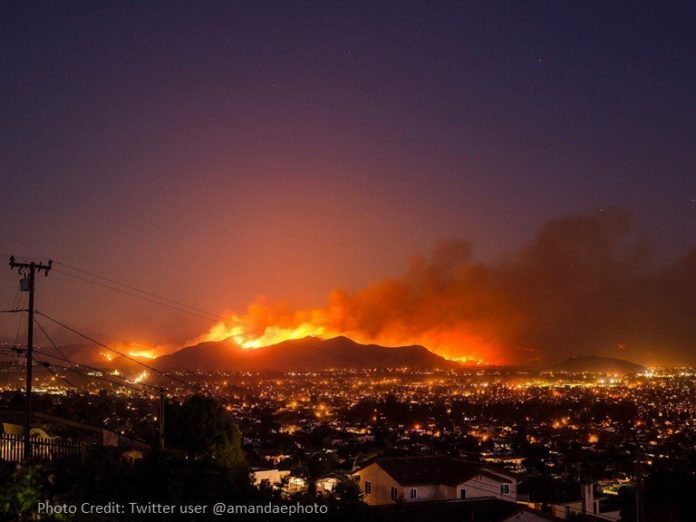 Paradise, CA – 29 people are now confirmed dead in a wildfire that consumed about 7,000 buildings in and around this central California city -equalling the highest death toll recorded in a single fire in the state that occurred in Griffith Park in LA in 1933. With 200 people still unaccounted for, the Camp Fire is likely to become the deadliest wildfire in California’s history. In several of the deaths reported so far, bodies have been located in cars and inside homes indicating that people got very short notice to evacuate. Many managed to drive their vehicles through roads with fires burning on both sides of the roadways. Several dead people, charred beyond recognition, were also found inside their homes. The Butte County fire, the county in which Paradise is located, is now 111,000 acres and 25 percent contained. 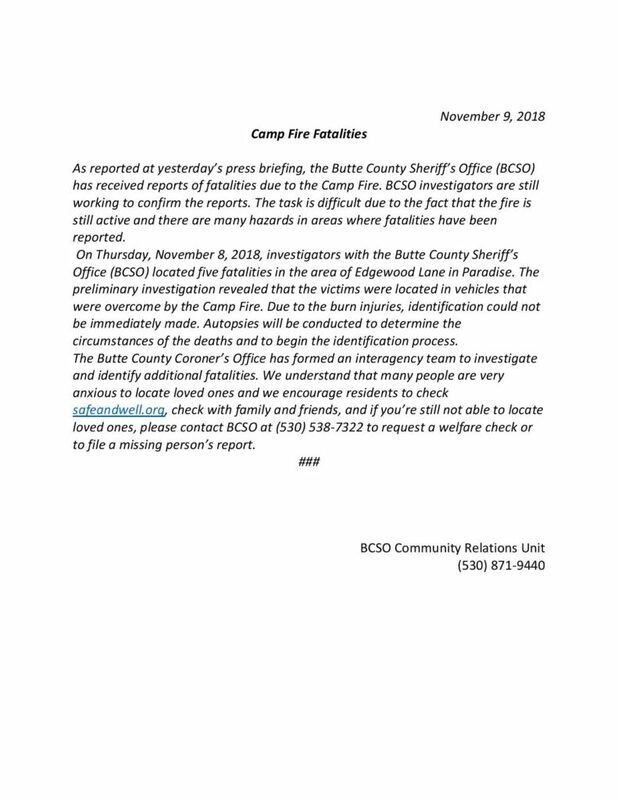 The fire was named Camp Fire because it originated near Camp Creek. 6,453 homes were burned down mostly in Paradise. Also destroyed were 266 commercial buildings while 15,000 structures are threatened. Social media is filled with appeals from people still searching for loved ones. Many being sought are elderly. In Malibu, 2 people were found dead inside a car on a long residential driveway. Malibu has been evacuated, along with surrounding areas. Among structures burned are multi-million dollar homes owned by celebrities. The latest casualties, six in total were in Paradise. The coroner’s office said five Bodies were found inside homes while one body was inside a vehicle. Near LA, the Woolsey Fire is about 85,000 acres and 15 per cent contained. Some repopulation has been allowed in areas deemed safe.